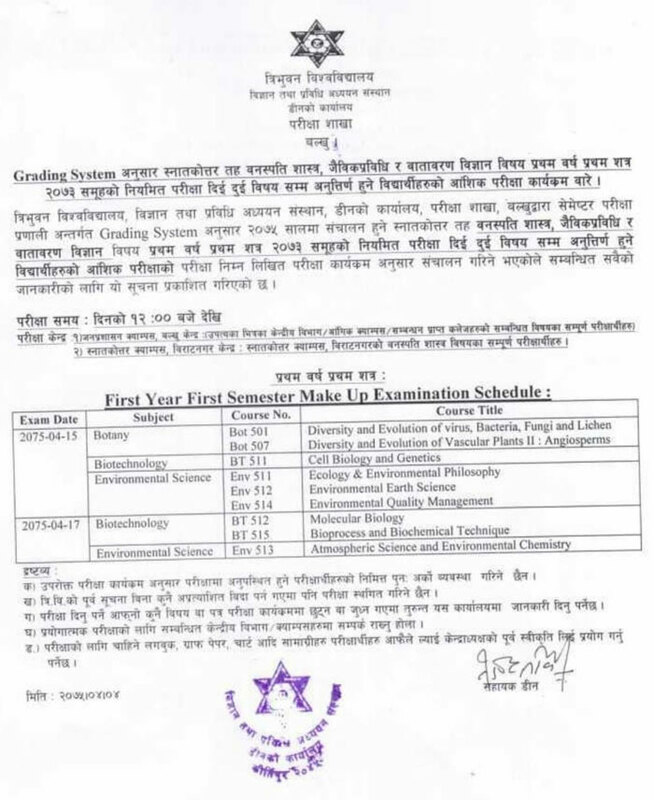 Tribhuvan University Institute of Science and Technology, Dean Office, Exam Department, Balkhu has published a notice for Make Up examination routine and exam center for M.Sc. Botany, Biotechnology and Environmental Science First Semester . The Examination starts from Shrawan 15, 2075 (31 July, 2018) onwards.